Join Pastor Rod Hembree, host of Quick Study, as he delivers a powerful sermon about the purpose and importance of Biblical leadership in the Church and community. 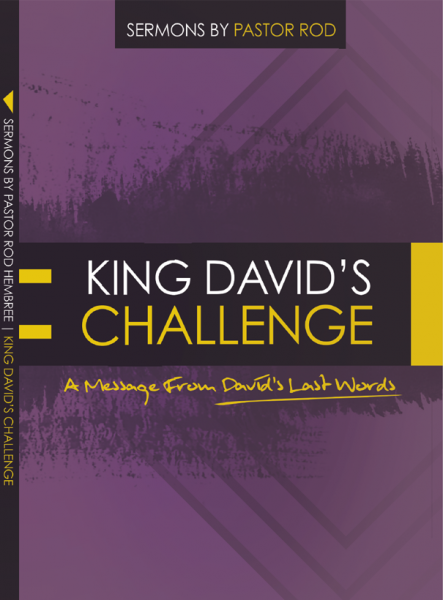 King David’s Challenge: A Message from David’s Last Words is a timely message about what it means to fully commit our life to God. Moral and Spiritual leadership at home, work, social and free time is what God uses to change the heart of the world.